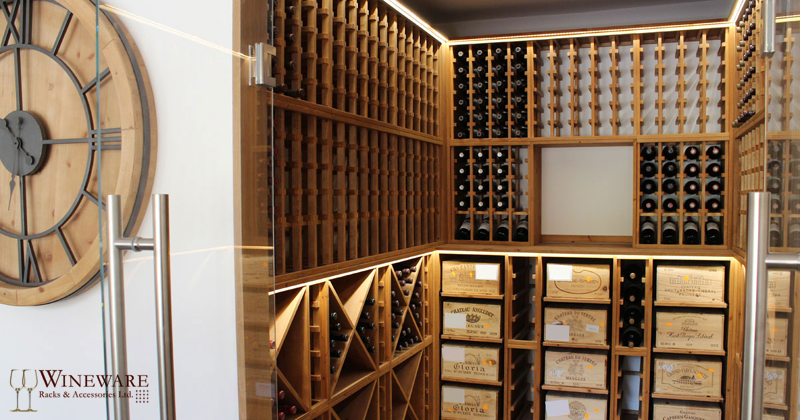 Other Info: This neat and tidy medium sized wine room in a residential property is now home to over 1100+ bottles of wine and champagne. 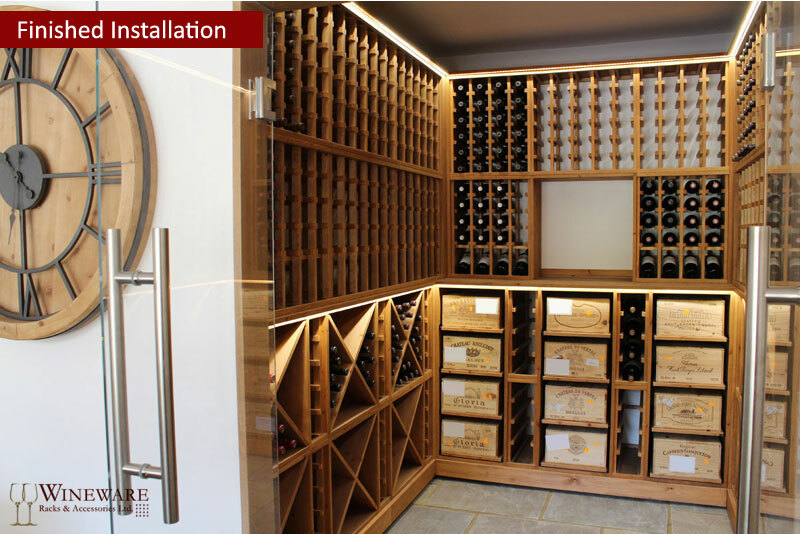 This medium size room in a private home in West Sussex has been totally transformed into a beautiful area to store wine & champagne! 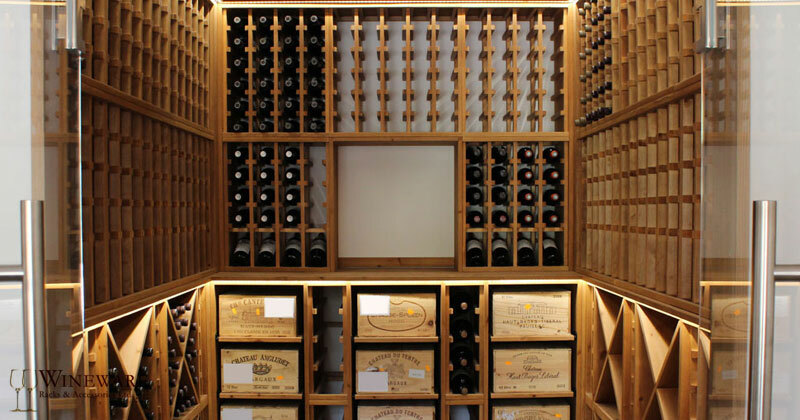 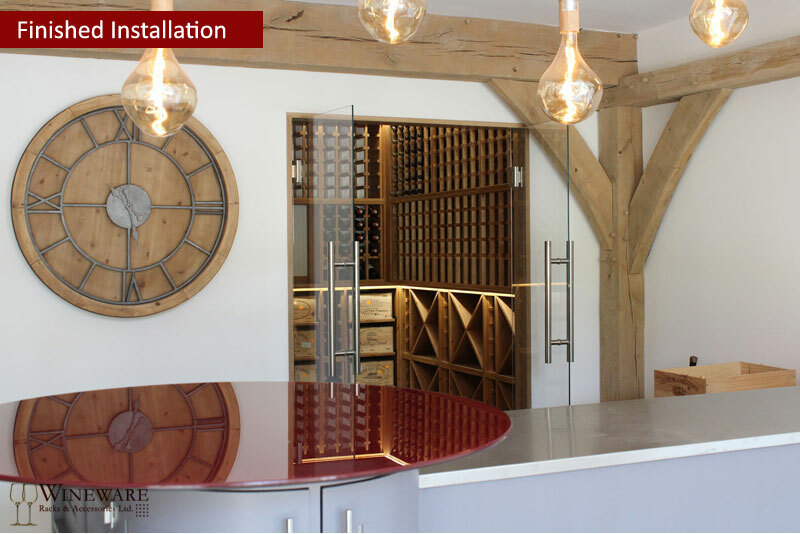 With a specification to store bottles in cases and individual racking, we're very pleased with how this wine room was completed and how delighted the client was delighted with the final installation. 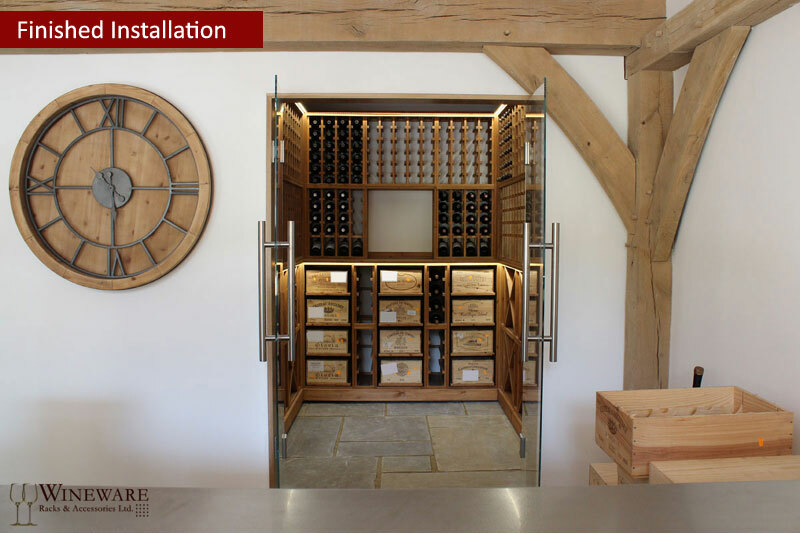 All of the racking provided for this project in West Sussex is made from solid pine with an oak stain, the units were constructed offsite prior to delivery to the property in order to minimise the installation time on site. 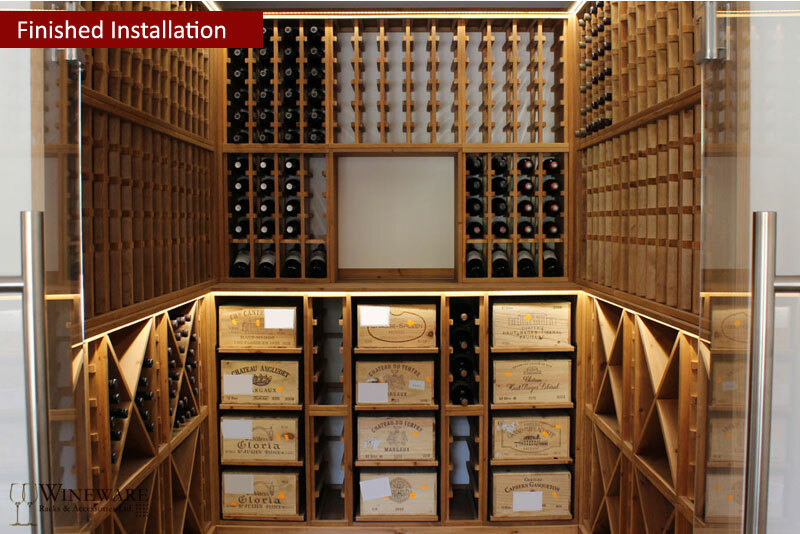 A few minor alterations were made during the installation to make sure the racking was safely housed for many years to come. 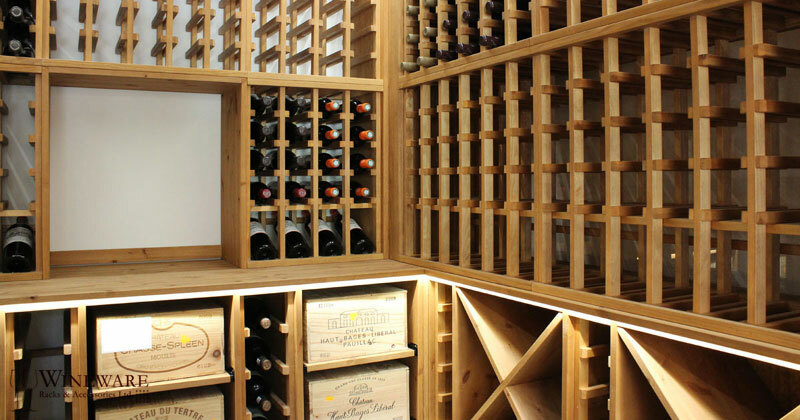 "5 OUT OF 5 - It was a delight to deal with Wineware and their product and service was exceptional. 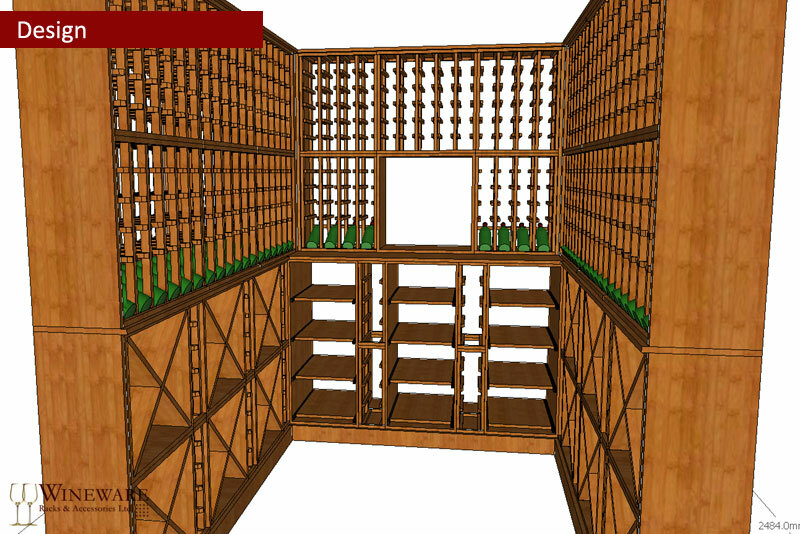 They were extremely helpful on all aspects of the project and were more than patient as we finalized the dimensions. 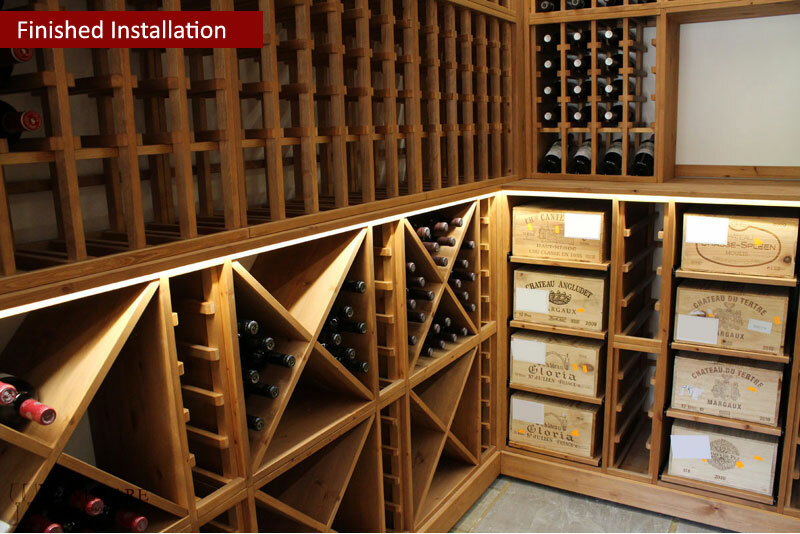 I would have no hesitation in recommending them."